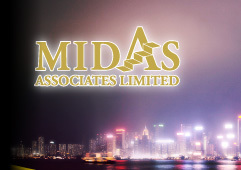 Midas Associates Limited "Midas" is specialized in banking and finance sector recruitment of middle to senior level executive search. The main focus is financial institutions in corporate and commercial banking, private banking, consumer banking, investment banking, asset management and insurance. The founding members are seasoned bankers with a diversify background who have been holding middle to senior positions in investment banking, corporate banking, commercial banking, consumer banking and private banking. We believe that being specialize and focus is to the best interest of our clients. We have been assisting our clients to fill front, middle and back office openings with excellent result. From the very beginning, we strive to be preferred suppliers of those financial institutions so that we could have better understanding of each of the partners we are working with and hence can provide more information to our candidates when we are working on a mandate. With better knowledge of our clients, the candidates that we recommend will be more likely meeting the clients' requirement and fit in the new culture well. 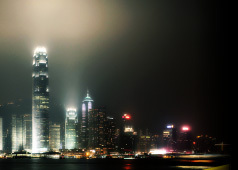 The candidates that we placed will also gain from our expert advice in planning their career. By taking in our mentoring advice, they will then have a better development years ahead and move up step by step to the top faster than others. We always keep the candidates motivated and solve the problems that they face in the first year, particularly the first few months. As one stop solution provider, we also have consultants recruiting the junior position for the clients. According to our successful mandates, 36% of the cases are between annual package of HK$1 million and HK$2 million, 42% is between HK$500,000 and HK$1 million, and the rest range from HK$200,000 to HK$500,000. With a Midas touch, we will turn your career into the golden path of success.